The MAXIM Airliner is ultra-light, ultra-skinny and perfect for quick ascents with long pitches, multi day climbs or areas with long approaches. The Airliner is an indestructible rope that is triple certified as a single, twin and half rope. Using this skinny climbing rope is the quickest way to save some weight. The 9.1mm MAXIM Airliner is an ultra-light and skinny lead line. But don’t let Airliner’s small size and light weight fool you. It does not sacrifice an ounce of performance. It is perfectly suited for quick ascents with long pitches, multi-day climbs or areas with long approaches. The Airliner is the weapon of choice for the majority of our climbing team. It is frequently referred to as “The Indestructible Airliner” due to its longevity. If you are looking for a super lightweight, ultra-thin and extremely durable cord, you’ve found it! One of the best parts is, you’ll never have to sweat a long approach again! Save that energy for the climb. This little cord slides through protection with ease and can take a beating without getting sketchy. The Airliner has the same durability that you have come to expect from MAXIM Climbing Ropes. All Airliner ropes come standard in double dry options with the Endura 2x-DRY treatment which meets the UIAA Certification. 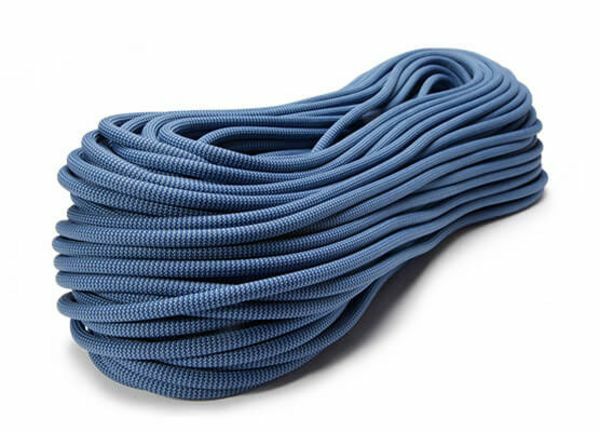 Airliner is triple-certified as a single, half and twin rope. Climbing on the airliner is the quickest way to shed some climbing weight, and you will not even have to skip desert.